Christina Noussis, a Canadian who has lived in Dubai since 2003, spent 15 years climbing up the ladder in the city’s thriving events industry, creating bespoke, high profile events for a multitude of corporate clients across all industries, including automotive, real estate, and oil and gas. In 2016, however, she decided to switch gears and delve into the world of e-commerce. Nous, a luxury jewelry and accessories brand, was created out of her home in Dubai. While she had no background in the jewelry industry or in e-commerce, but fuelled by her passion, Noussis launched her brand in May 2018, and has featured three collections to date: The Bian Collection, The Stained Collection, and The Silversmith Collection, all of which take in influences from local cultures. 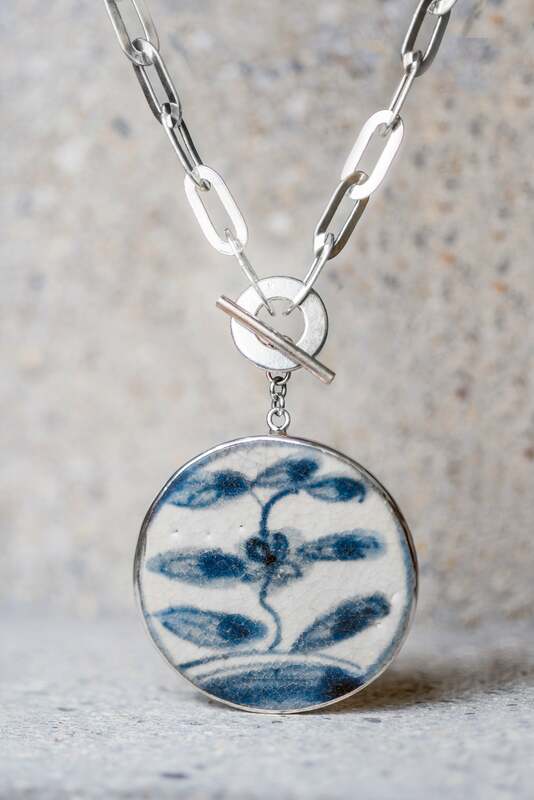 The Bian -meaning ‘hidden’ in Vietnamese- is inspired by broken pieces of ceramic fragments that have been discovered at the bottom of the sea bed in Vietnam. 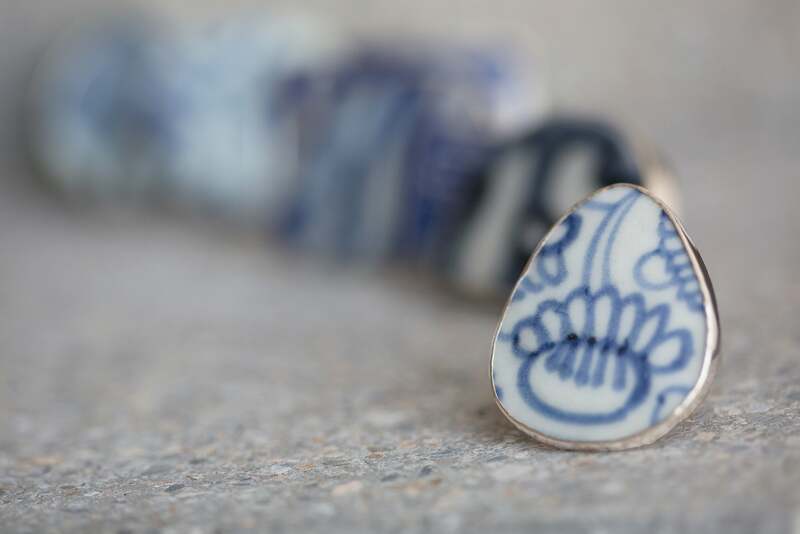 These ceramic fragments, Noussis explains, fell off the boats of China over 200 hundred years ago and are collected each morning from a local Vietnamese diver. 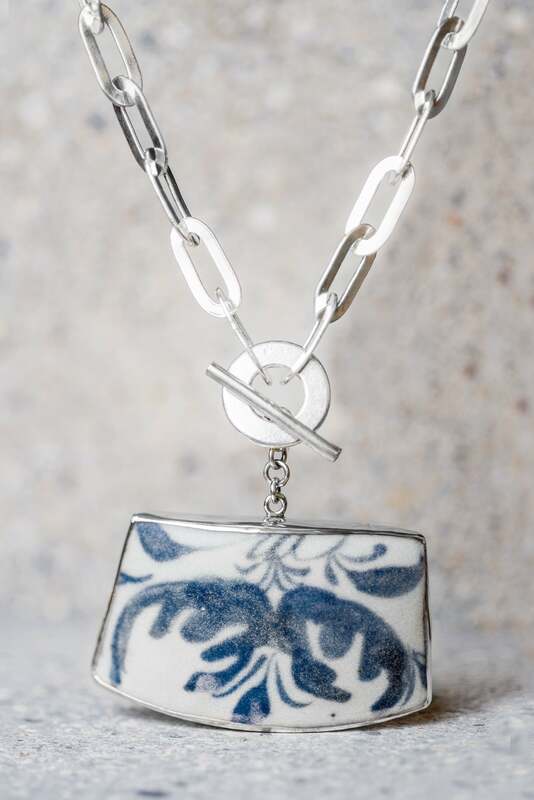 Every accessory from the collection features a unique ceramic design which has been handcrafted into silver earrings, rings, necklaces and cuffs, with no two pieces being the same. “Stained is a collection of colourful bead necklaces made from 100% soft silk,” Noussis adds. “During my visit to Vietnam, we witnessed the silk-making process and watched how each thread was dyed to a vibrant hue. This became the inspiration for the Stained collection which features beaded necklaces in over 75 colour options.” Her third collection comes from a small island in Sicily, called Ortigia, which is home to many local craftsmen and where art and creativity is a way of life. “Wearing a piece from the collection is like wearing a piece of the island itself,” Noussis says. It was through her many travels around the world that Noussis realized that many local craftsmen do not have the opportunity to showcase their crafts internationally, which inspired the mission of her brand. 1. Do your research. Take your time to understand and study your product, potential customers, markets and competitors. Work on expanding your knowledge base so you know what you’re getting into and what ideas are likely to work. You can never learn too much about one thing. 2. Tap into your network. Don’t be afraid to ask questions or ask for an opinion from people you know. You’d be surprised at how much valuable information lies amongst your circle or from a friend of a friend who knows someone. Reach out to your social network. 3. Learn from your experiences– good or bad. It’s okay to make mistakes because it’s all part of the process. Have faith in your capabilities and vision and accept that some things will happen for a reason; whether it’s to learn something, to grow and develop or become better at what you do. Keep your eyes and ears open and keep adapting!